More iconic images accrue to the name of Leonardo da Vinci than to any other artist. The "Mona Lisa" stands as a sort of primary visual signifier for "Art" itself, just as his drawing of Vitruvian Man stands as a primary visual signifier for "Man." This new da Vinci monograph presents this ultimate Renaissance man's complete corpus, from the most renowned oil paintings such as "Lady with an Ermine," "Virgin of the Rocks" and "Mona Lisa" to frescoes such as "The Last Supper" in Santa Maria delle Grazie Church and the ceiling frescoes of the Sala delle Asse in Castello Sforzesco in Milan. All works are reproduced in full-color plates, many of them augmented with detail plates that reveal the extraordinary care lavished by the artist upon his canvases. Also included are da Vinci's preparatory drawings and cartoons; works no longer extant, such as "The Battle of Anghiari," are enumerated as part of the da Vinci corpus. 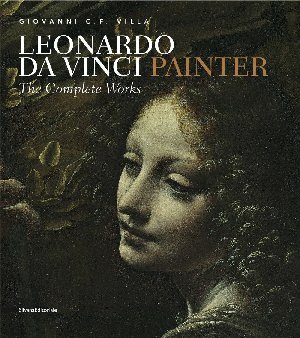 Affordably priced and superbly produced, this volume offers a basic da Vinci monograph for all.